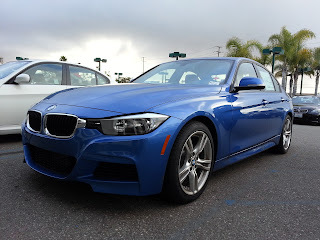 Update: Click here to read our comparison of the 2013 BMW 328i against the 2013 Cadillac ATS. This is supposed to be the best generation the BMW 3 Series. Promises were made to the buying public that the challenges faced with the E90 generation sedan would be addressed and many of the latest innovations that BMW has developed in its larger and more expensive sedans would finally trickled down to BMW's volume seller. However, gone are some of the traits that BMW built its reputation on, such as the naturally aspirated 3.0L straight six engine, replaced by a new high tech 2.0L turbo charged inline four. The hydraulic steering system of the past has been replaced by a new electric power steering unit. But despite these changes, can BMW still live up to its slogan of being the "Ultimate Driving Machine?" The car we drove is the 328i Sedan 6MT with the M Sport package. The M Sport package includes mainly cosmetic items such as an M exclusive aero kit, M branded steering wheel and shift knob, M branded seats, M Sport exclusive 18 inch wheels, and M Sport exclusive colors. The only performance upgrade included with the M Sport package is unique suspension tuning to improve the handling. This new 3-series has a purposeful appearance, especially with the M Sport package additions. The look is a series of paradoxes - conservative yet aggressive; clean yet complex; brash yet subtle; modern yet timeless. This M Sport package is, in our opinion, one of the most attractive 3-series designs to date, drawing a taut skin across a lithe frame, like a nicely tailored suit on an athlete. 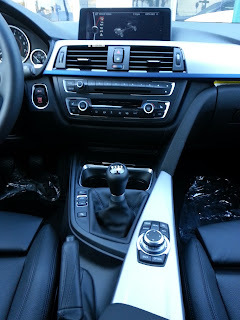 In typical BMW fashion, the interior is very nicely appointed and all the materials feel substantial to the touch. The seats we found particularly enjoyable, especially with more range of adjustments than any sane man could want, including adjustable side bolsters. Retract the bolsters for comfortable, long term cruising, and extend them out again to keep you in the seat for spirited driving. The nice, thick-rimmed, small diameter steering wheel feels just right in your hands. The new 2.0L turbocharged inline 4-cylinder motor is strong, with smooth power delivery and a nice aggressive exhaust note. Push the engine hard enough, and you can even hear the turbo thrumming away among the mechanical sounds coming from the engine bay. The 6-speed manual transmission is easy to use and the clutch maintains a nice balance between feel and weight. The brake pedal offers good feedback, inspiring confidence, even if the braking distances are on the longish side for a BMW sport sedan. Grip is plentiful and BMW's continued adherence to maintaining a near 50/50 weight distribution is evident as the car exhibits excellent balance while cornering and transfers its weight exceedingly well. This particular car was fitted with the latest version of BMW's head-up display system, floating a selection of useful information along the lower periphery of the driver's line of sight. Showing speed, RPM, and even navigation directions. However, not used to driving with this in view, it was a little disconcerting at first, but was something that I feel I could get used to quickly. As a feature, this would be a wonderful addition to most performance oriented cars, allowing the driver to focus on the road ahead and not worry about having to look down at his instrumentation. That is not to say this car is not without its faults. We actually ended up having quite a few gripes about it, some minor, but all interfering with the overall enjoyment of the car. something to improve its driver interfaces. First, the shifter feels like it came off of a child's toy. Sure, shifts were smooth and relatively precise, but the plasticky feel combined with a sense of overwhelming cheapness immediately washes away any good feelings that were there before. Even the cheap fake shifter you find attached to arcade driving simulators offers more feedback and a more positive engagement feel than what you will find here. BMW would do well to benchmark the Acura ILX, which has one of the best feeling manual transmissions to be found in a sporty sedan. In fact, every one of Acura's manual transmissions offers a much more satisfying shifting experience, each motion feeling like sliding a rifle bolt into place, and the shift level feels like it is carved from a single piece of aluminum. 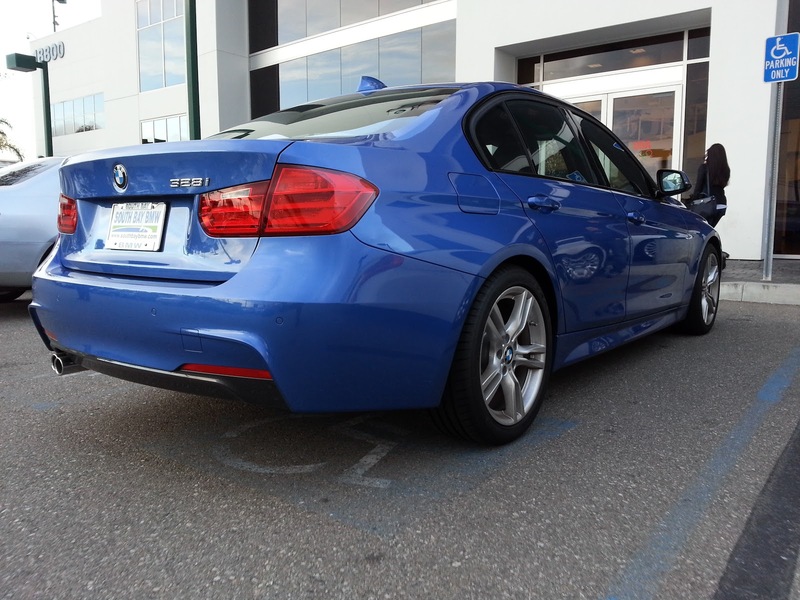 Steering feel seems to be a lost art, these days, and this new 3-series falls victim to this growing trend. The steering, while very precise and well weighted, feels lifeless and limp. The lack of feedback, despite having everything set to the most aggressive settings possible, greatly reduced the enjoyment behind the wheel. 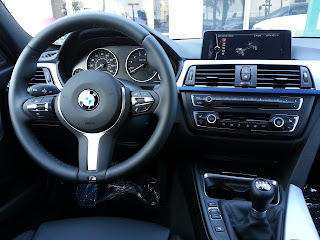 This is a shame because the BMW has designed an excellent steering wheel that feels wonderful in the hand. All motions made with the wheel feel overly boosted and artificial, sort of like a video game. There are a few manufacturers who have figured out how to tune electronic power steering systems well, creating a driving experience that provides excellent feedback, good weighting, and precise control. BMW still has much fine-tuning to do before its EPS can claim these milestones. In a daily driving situation, this might not be such a big deal, but BMW wants you to believe the 3-series is an "Ultimate Driving Machine," which means people are going to drive it with sporting intentions. We find it difficult to muster up the desire to really push the car if we cannot feel what the wheels are doing. BMW also much exorcise the demons in its drive by wire throttle. When paired with a turbo-charged engine, which BMW has done a fine job of tuning to minimize, although not completely eliminate, turbo lag, the throttle lag becomes increasingly aggravating. When trying to get the car to accelerate, there seemed to always be a sense of hesitation from the engine, almost as if it needs to think about letting you accelerate before it actually does. The momentary hesitation caused by the throttle lag, combined with the slight bit of remaining turbo lag, results in a flat spot when transitioning from steady state throttle to hard acceleration. Again, for a family sedan, this might not be an issue, but for a sport sedan, it is a bit disappointing. 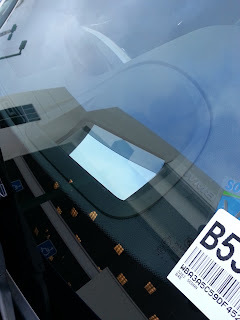 You would think that given BMW's experience from the 335i, they would have figured this out by now. And finally, this thing is outrageously expensive. Granted, BMWs have always been quite pricey, especially while optioned through the roof, , but this particular 328i seemed to take it to a whole new level of ridiculous. At over $51,000, one would expect the car to at least have features that even the most basic of family sedans have started to add as standard equipment, such as a back up camera. Unfortunately, to add this simple feature would have required an additional $1,900 in the form of a “driver assistance” package. That just seems absolutely ridiculous considering the fact that a $21,680 Honda Accord LX has a back up camera as standard equipment. At $51,000, there are numerous other cars that offer far more value and make this car's price tag terribly hard to swallow. the dealer rep had us pull in upon returning the car. So the big question is, is this truly a better 3-series? Dull steering, cheap feeling shifter, and a laggy throttle make it difficult for us to want this car. It seems that BMW is content to rest on its laurels and use the brand cachet it has banked from the 80s and 90s to continue to foist these rather half-assed driving cars off as "Ultimate Driving Machines." Sure this is a fantastic looking car, well-assembled, well-engineered, and constructed of high quality materials. But if that is all we were looking for, we would just get a Lexus and call it a day. 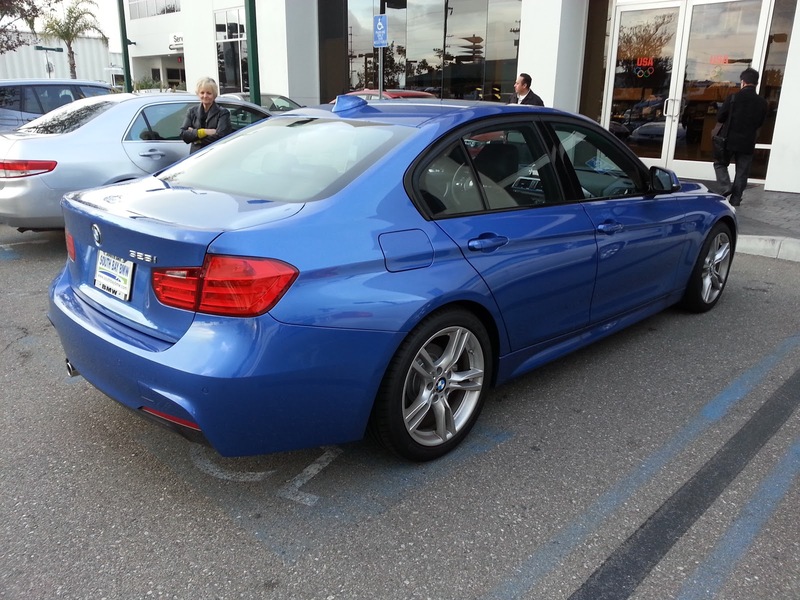 BMWs are supposed to be the gold standard of the sport sedan class and on paper, they often still are. But gone are the days where BMWs were the gold standard for driving enjoyment. The tactile sensations that make driving fun seem to no longer be a part of the design requirement for the latest BMWs, making them an increasingly difficult value proposition. Until BMW is once again able to deliver a standard model that offers the same driving pleasure as the E30 and E36 3-series of days past, we will continue to admire them from afar, but our own money will be spent with other manufacturers at the moment.